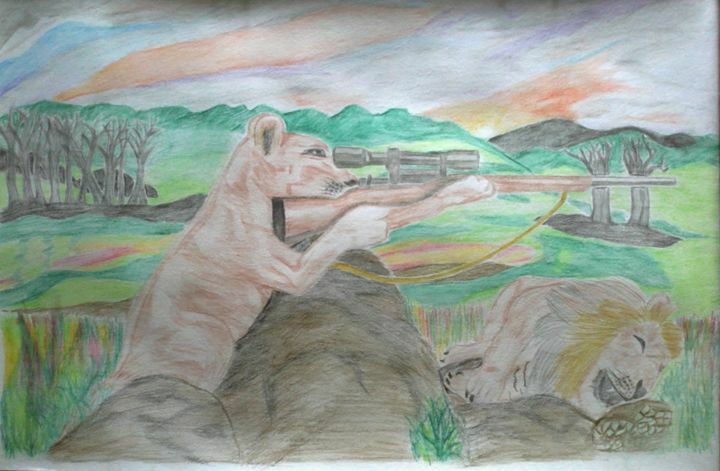 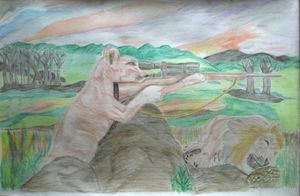 in this painting lioness wants punish ownself who kissed her lion with humen's enveted Weapons.i want to show through this painting.why animals are too many helpless?i want to show an animals feeling.in this painting lion killed by anyone and his lioness wants Revenge to her lion's killer.And she can's win hunters with hunters without modern weapon.therefore she is using a sniper gun for punish her lion's killer and she taking her pose for Revenge.its not a funny painting i want everybody shoul'd feel animal's families feeling.they went hearted when they lose their family membar.they also feel angry and they wants punish them who killed them.they wants Revenge.hope you'll like it.and i have made a beautiful background scene.grass,old tree,rock,sun, sky,etc...this is water color painting on paper. 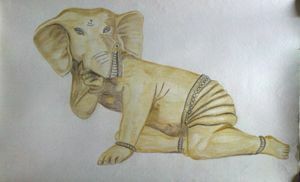 Paper size is 22 x 14 inches. 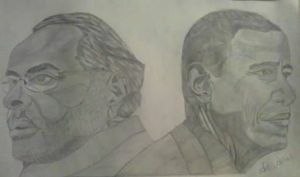 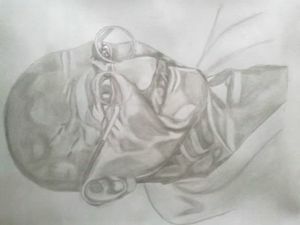 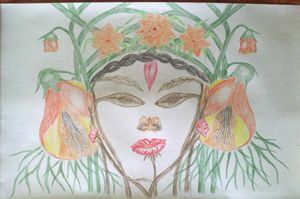 i am ashish.19 years old young artist.i live in india.i am drawing various desin's picture and colour paitings. 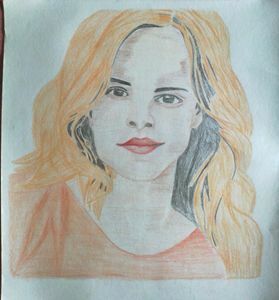 If you want your own or your family,friend's ,love's gift their sketch you can contact to me on this email..
i'll make your pic sketch and send you your pic's buying page's link.